Good news from New York City’s Daylight’s For The Birds, whom you may remember from this post back in April – their first album is complete, off to the presses and should hopefully be available by mid-August. The record, Troubleeverywhere, will feature both original vocalist Claudia Deheza and current vocalists Amanda Garrett and Phillip Wann. 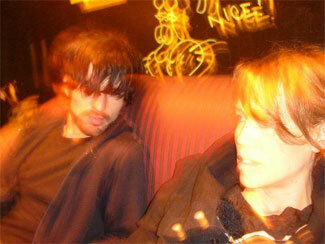 You may remember Deheza and Wann from dream-pop outfit On!Air!Library! but that was many moons ago and despite the personnel overlap, Daylight’s For The Birds has crafted a distinctive enough sound to stand as its own entity (though they have much to offer O!A!L! fans…). A good number of the tracks have rotated through the band’s MySpace player in the past half year, so I like to think I’ve heard enough of the album to offer an informed opinion, and that opinion is that it’s a goddamn pretty record. While their shoegaze roots definitely show, it’s definitely a gentler, daydreamier brand of pop that they’re trading in. Guitars and keys go about their soundscaping but never overwhelm the wistful, delicate and oh-so melodic vocals. And oh the vocals – losing Deheza halfway through recording could have been disastrous but Garrett’s voice is similar enough to make the transition smooth (and allow her to handle the older material live) yet different enough to add some more variety into the sound. Dodged a bullet there. In addition to the three downloads they’ve currently got for download on the MySpace (and one more for streaming), the band’s given me one more track from the album to offer you folks. And though “Worlds Away” is no longer amongst the listenables, take my word for it that it will be one of the best things you hear all year. Yeah, you’ll have to pick up the record to get to it, but trust me on this. And get this – the band is playing a show at Sin-E on June 29, the very same day I arrive in New York, as part of an Earfarm-sponsored evening, and the band I profiled yesterday, Dirty On Purpose, are also playing hardly four blocks away at the Mercury Lounge. AND, also that night, Brooklynvegan is putting on a show in Brooklyn featuring Canucks Land Of Talk, Tokyo Police Club. So which will I be attending? None of the above, probably. Hey – I’m on vacation. Swedish crooner Nicolai Dunger and American bluegrassers Jim and Jennie & The Pinetops join forces at Lee’s Palace on August 1 and Bonnie “Prince” Billy’s tour of record stores will actually feature a Toronto stop on August 19, as he goes vinyl shopping at Rotate This. This is interesting because I can’t recall Rotate ever hosting an in-store – that’s usually Soundscapes’ bag. But this is what Pitchfork says and I don’t want to live in a world where you can’t believe everything Pitchfork tells you. The New Yorker makes a compelling case for late-period Radiohead and almost makes me want to put on Hail To The Thief to re-evaluate. Almost. Synthesis discusses touring and writing and the intersection of both with Guy Garvey of Elbow. Stylus hates CD packaging and here’s why. PennLive.com interviews Scott Pilgrim creator Bryan Lee-O’Malley, who is also annotating the series on his LiveJournal. Soon we’ll be able to assemble our own “Scott Pilgrim Walking Tours of Toronto”. Did you happen to take any pictures last night at Broken Mascis Scene? aw come on, come to the EF show Frank! if i *had* to pick an entire favorite Radiohead record, Hail to the Thief would be it. i had it back on for a week in the car after seeing them live again a couple of weeks ago.